Back Story: A few weeks ago Nathan and I were sad to find out out favorite Argentinean restaurant closed its doors. We were so sad. The funny thing is, one of my student's father managed the restaurant and I asked him where we can still find the beloved chimichuri, and he told me about an Argentinean deli in the valley that sales it. Present Story: Tonight as I waited Nathan's return from work, I realized the normal half hour commute was turning into an hour, so I called him. He nonchalantly said he had to stop and pick something up and that he will be home in 5 minutes. 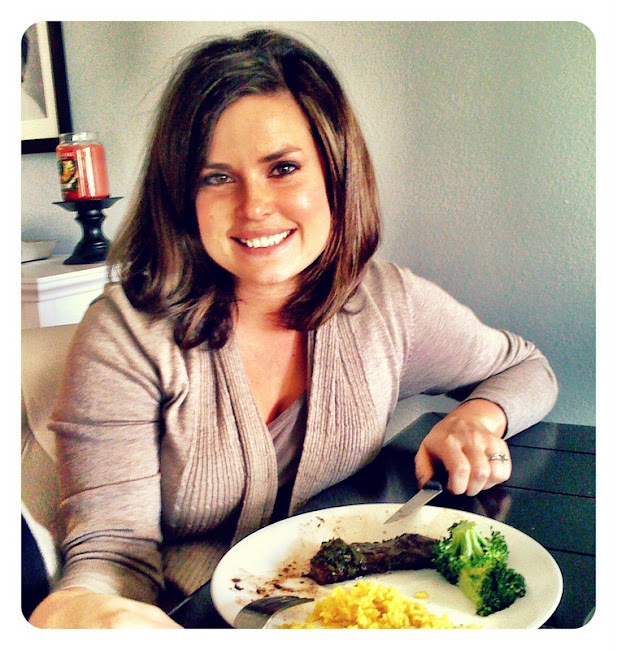 When he got home, he had groceries and out he pulled a bottle of the chimichuri. He brought home fixings for a dish we would normally get at South Point. 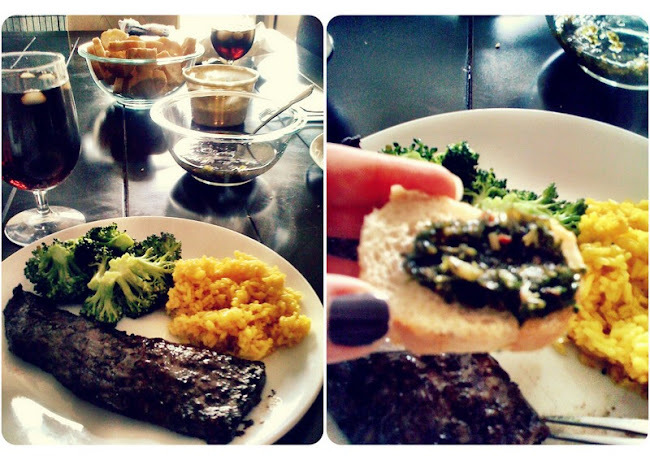 Skirt steak with steamed broccoli, yellow rice and a baguette for the chimichuri. While I cut the bread, steamed the broccoli and made the rice, he fired up the grill and cooked the steaks. And instead of eating around our coffee table, we ate together at the table and talked about what to expect for the future. It was quite romantic, and our meal was just as good as South Point by the way. I agree. you don't have to "go out " to have a lovely dinner (evening). Can you bring some chimchim to texaa?